Tiffany called tonight and asked what was I doing. She had just gone to get the ingredients for no bake oatmeal cookies. I was like no way! That is exactly what I am making. Once you think about these they have to be made soon! The power of the crave! I have the recipe my sister Keyna gave me at my wedding shower in one of those cookbooks filled with hand written recipes from all who attended that shower. I will wait to hear from Steve, Carrie, Keyna, Patti, Bill, John, and Jim-all I need is a number. How many days it took you from seeing these or hearing about them before you are gathering the ingredients! This entry was posted in SteveCarrieKeynaPattiBillBethJohnJim. Bookmark the permalink. So now I’m gonna have to make some. I can already taste them. Unfortunately I’ll have to wait till Monday 😦 I’ll be in the woods this weekend for mom and me. How fun Heidi! 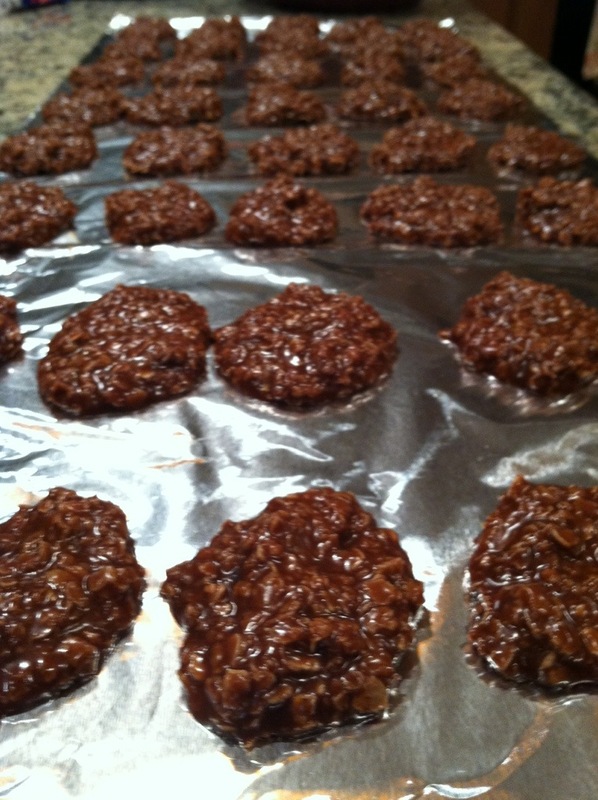 Yeah…no bakes might melt in the woods!